Drakenfeld is a flawed yet appealing hero and Newton has wrought a fast-paced fantasy thriller which should appeal to readers of C J Sansom. Which is cover-quote gold if you ask me. Read the rest of the genre review section. 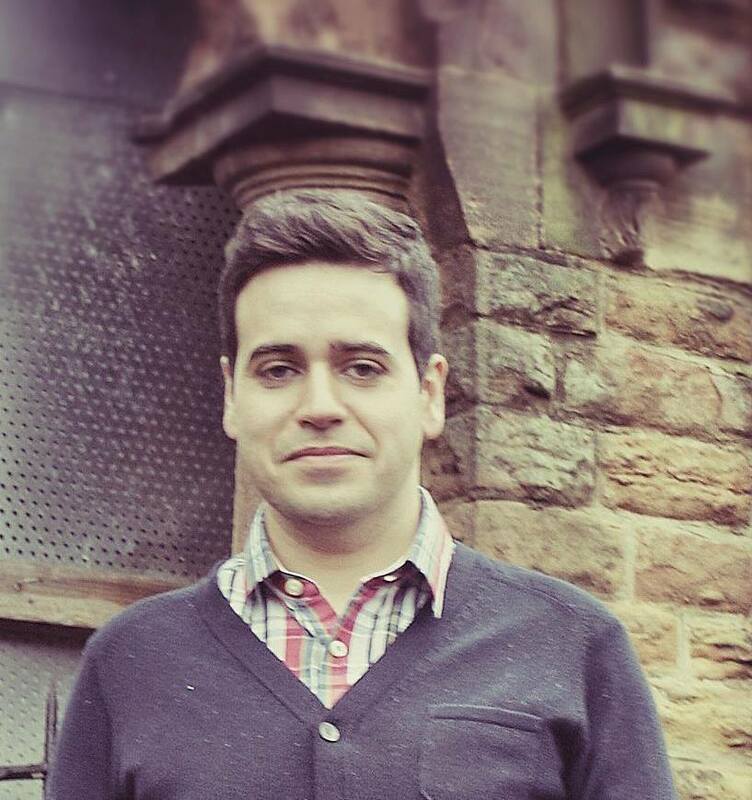 Jon Mitchell, Senior Rights Manager at Macmillan, has sold Italian rights to DRAKENFELD, the opening novel in a new fantasy crime/thriller series by Mark Charan Newton, to Fanucci. World rights in the first two titles in this series were acquired by Julie Crisp at Tor UK from agent John Jarrold. DRAKENFELD has just been published in the UK, and the sequel has been delivered. John Jarrold – e-mail: j.jarrold@btinternet.com phone: 01522 510544. 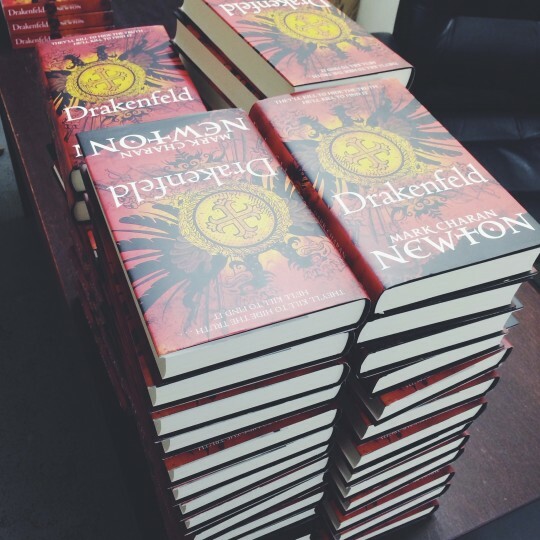 For those of you after a signed copy of Drakenfeld, there’s a big pile of them now available at London bookseller Goldsboro Books. Also, I realised I hadn’t updated the site with an extract for the book, so you can now find one here. For those of you going to World Fantasy Convention in Brighton in a few weeks, myself and Adam Nevill, courtesy of Tor UK, are throwing a joint book launch on Saturday November 2nd, between 4 and 5pm! If you’re at the convention, attendance is mandatory. 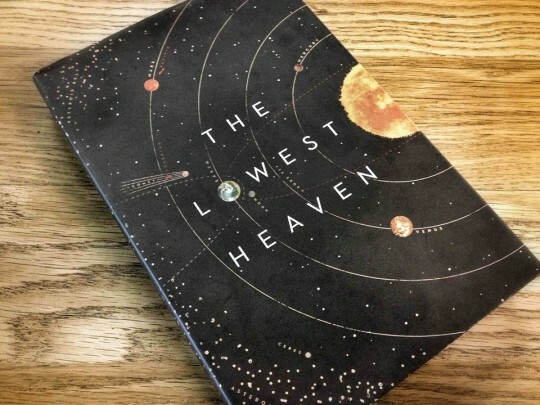 The Lowest Heaven anthology, in which I have a short story, gets a nice review in the Guardian. Pretty chuffed that mine was picked out as a highlight – ‘a sly tale’, in fact – especially as I don’t often write short fiction. If you want a copy of the book, here’s a list of where to get one. 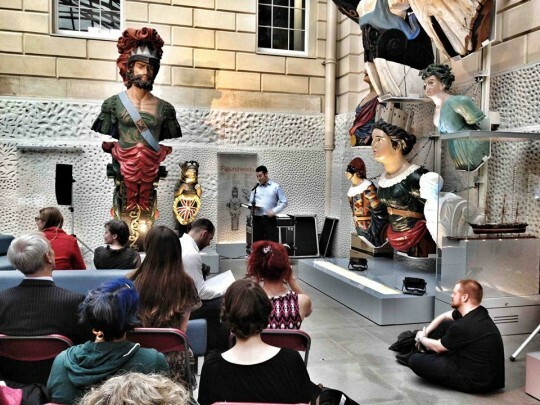 A very cool launch at the National Maritime Museum in Greenwich for The Lowest Heaven anthology. 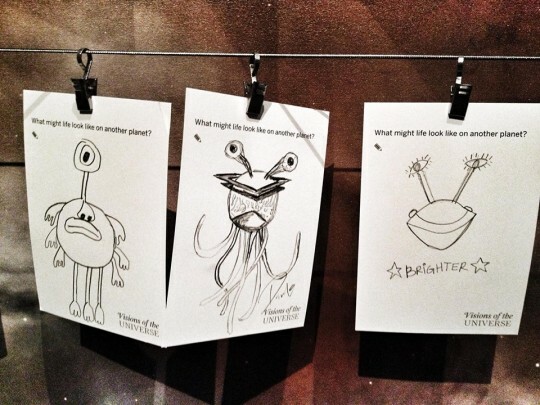 It tied in nicely with the fabulous Visions of the Universe exhibition, which had me in a kind of ten-year-old awe. Great to meet loads of new and old faces. Better write-ups here and here. Thanks to Jared and Anne! A little while ago I started up a Facebook page, but have decided that I can’t be bothered with it – I didn’t like its functionality, not to mention the way it would constantly try to get you to pay for advertising, and I ended up cross-posting loads to my normal profile anyway. So I’ll close it down pretty soon. Feel free to add me here; be prepared for even greater levels of nonsense. It was actually China Miéville who came up with the central plot – but he gave it to me in exchange for a copy of Atlas Shrugged and a Babycham. A gathering of fantasy and science fiction authors on Thursday March 28th (that’s my birthday), 6-9pm. Pop along to Goldsboro Books in the wonderful Cecil Court, a book-buying paradise. Luke Scull, Seth Patrick, Paul Cornell, Jeff Noon, John Gwynne, Francis Knight, Benedict Jacka, S L Grey, Sarah Pinborough, Stephen Deas, James Barclay, Ben Aaronovich, Mike Carey, Linda Carey. Louise Carey, David Wingrove, Chris Beckett and more. There will most probably be wine. Don’t be shy. More details here, but I’ll be talking about cities and fantasy with Tom Pollock and Kate Griffin. The event will be on November 17th from 6pm until 7:30pm, at Foyles bookstore on Charing Cross Road, London. Come say hello.